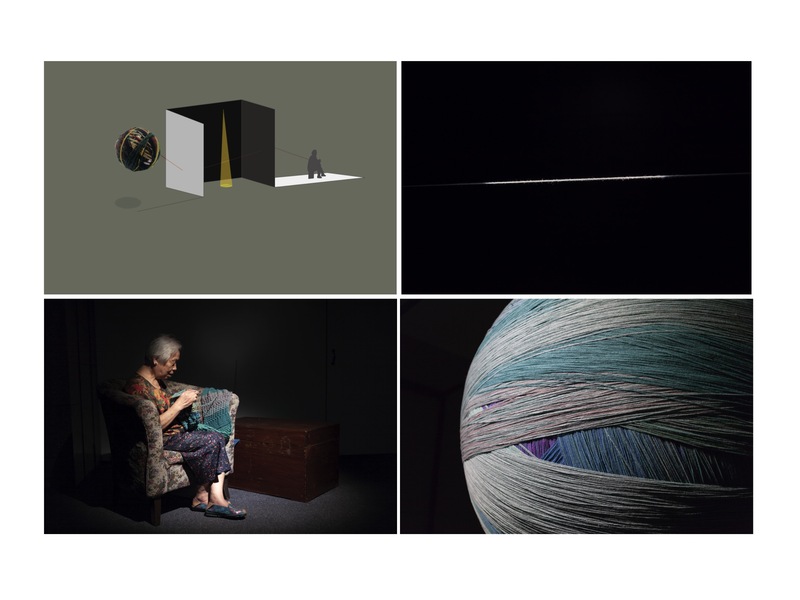 The work consists of three spaces: In a white room, a woman is knitting wool continuously， one end of her knitting wool slowly becomes a blanket and the other goes through the wall. In the black room, there is wind, darkness and a spotlight. The knitting wool is driven through the whole space. In another white room，there's a huge wool ball spinning like a planet.